The chipmunks at train station. I tried to give them a new look!. 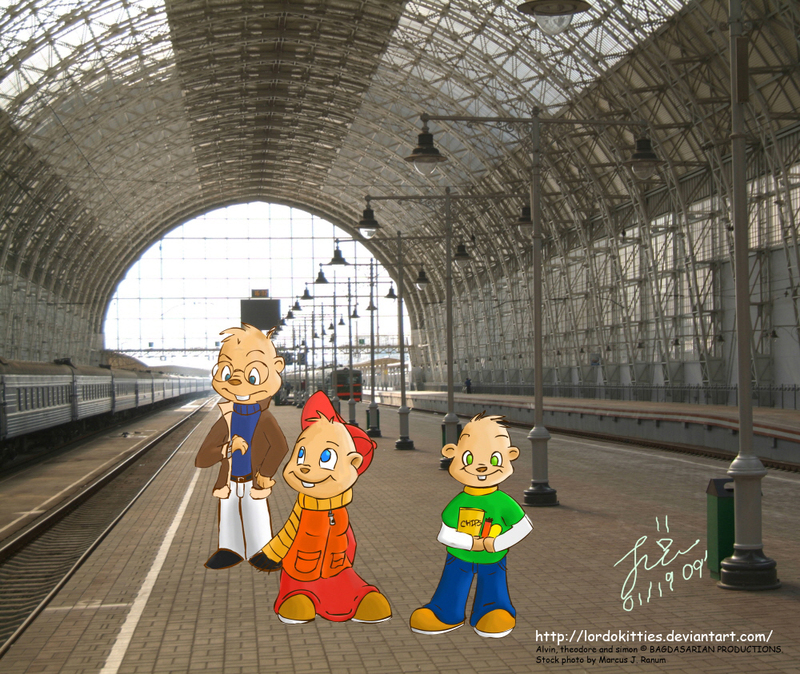 HD Wallpaper and background images in the Alvin at mga tsipmank club tagged: chipmunks alvin theodore simon. This Alvin at mga tsipmank fan art might contain conservatory, hothouse, panloob na hardin, kalye, lungsod tanawin, urban na setting, warehouse, and storage warehouse. lol still cute :D good job!